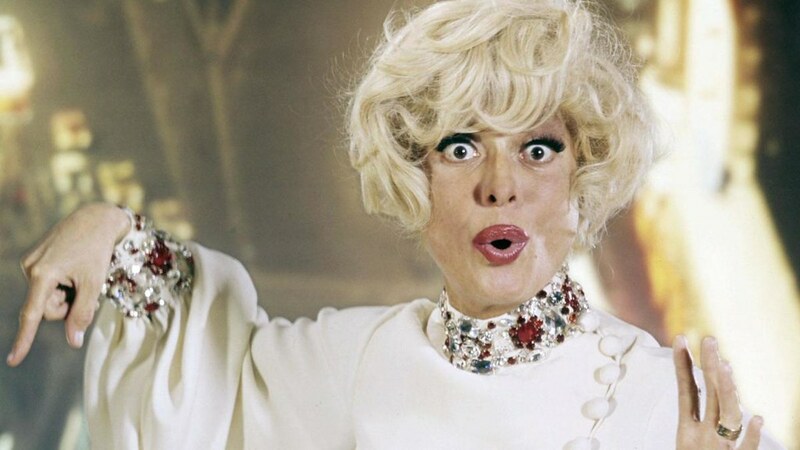 Carol Channing was 97. She was the broadway legend best known for such musicals as Gentlemen Prefer Blondes and Hello, Dolly!. I remember her mainly from The Johnny Carson Show, but honestly, I thought she died years ago. Aw, I just read she rekindled her romance with her high school boyfriend and married him in 2003. Lovely that she found love, lived a good long life. RIP. And now I can't help think of early 80s People's Jewelers commercials. For years she only ate organic foods to combat allergies. She also refrained from drinking alcohol. The healthy lifestyle clearly worked because she was just a few weeks shy of her 98th birthday when she passed away. Unique voice. I heard Tom Power today on CBC Interviewing a reviewer from New York who saw her in 1964, and he told how she was still playing the role on Broadway even into her 80's. Hope I have that type of longevity! Fun fact: Channing was the first celebrity to perform at a Super Bowl halftime. She was also a server at the last supper. I heard they served McDonald's at the last supper.